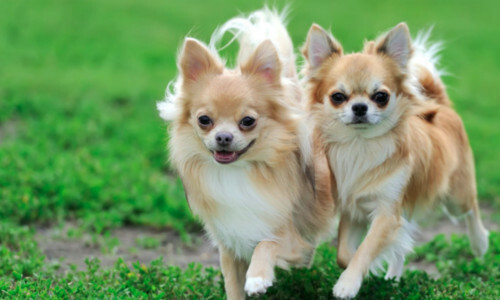 Responsible breeders can tell you that the purebred dog is far more predictable with its temperament, behaviour, appearance, size and even colour, than a crossbred dog. Purebred dogs are the result of many years of selective breeding. All breeds were developed for a specific purpose and documentation is available on their history and heritage. When you buy a purebred puppy, you will know what to expect in the adult dog. Knowing the characteristics and attributes of a purebred dog enables you to narrow down the choices to those which best fit into your lifestyle. For example, how large will the dog grow and will it require constant grooming or exercise? Responsible breeders have the experience to give puppies the care and nurturing they need at critical early stages. This not only ensures you’ll have a healthy puppy, but that the puppy will be less likely to develop into a difficult adult dog. Responsible breeders can answer your questions and share their knowledge with you. They can provide background about the breed and discuss characteristics of the adult dog and whether it might be suitable for your lifestyle. You should receive a documented history of the puppy and you will be able to see one or both parents or other family members. Breeders will also give you guidance about proper care and feeding, health issues and training. They are there to help you and will continue to provide information and support as your puppy grows into adulthood. All dogs (including purebreds) can suffer from hereditary conditions. Reputable breeders test their dogs for these before breeding to ensure the healthiest of puppies. You can speak to them about any potential health problems or concerns. Click here for further information on proactive approaches to purebred dog breeding in Australia and worldwide. All Dogs West registered breeders are bound by a strict Code of Ethics, covering responsible dog ownership and breeder responsibilities relating to the keeping, welfare, breeding and selling of dogs. This Code of Ethics ensures you a healthy, happy and well-adjusted puppy. Visit our Breeders' Directory to find a Dogs West registered breeder.